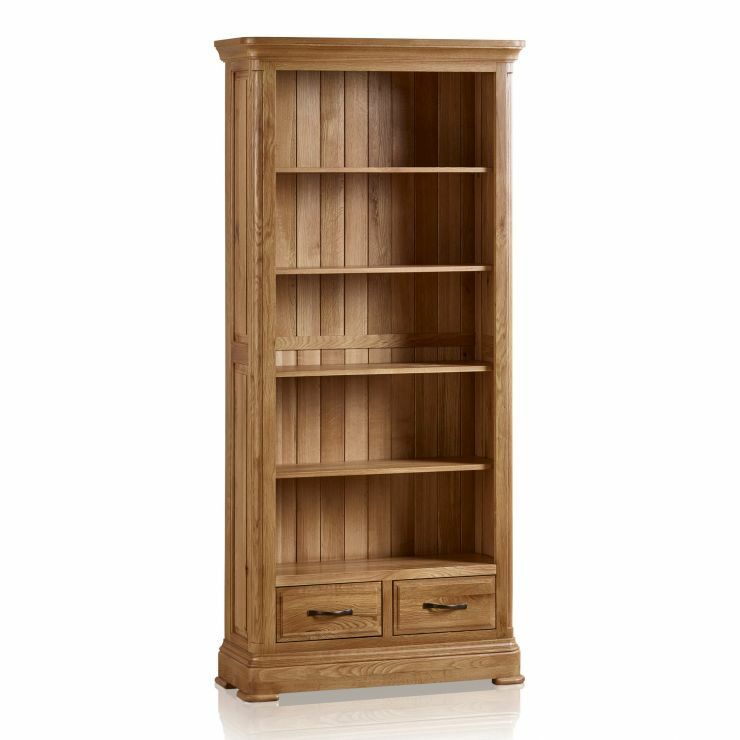 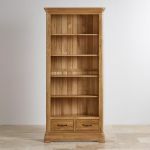 The ideal place to store all your favourite books and belongings, our Canterbury tall bookcase is has been designed to look great in your home. 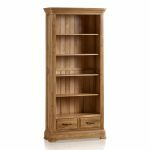 Made from only A-grade solid oak timbers, protected with our stunning natural finish, this bookshelf will stand the test of time. 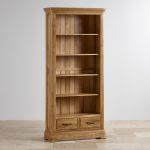 It features thick solid oak shelves and deep drawers, combining both visible and hidden storage areas. 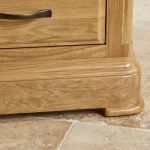 The drawers have solid oak bases, backs, and runners too, and feature real dovetail joints for durability, all to meet our high quality standards. 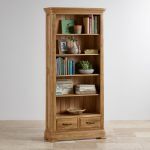 They also feature beautiful dark antiqued metal hardware to stand out against the bright oak. Other design details, signature to the Canterbury collection, include classically flared cornices and a deep pedestal base.